Sunday Poll: Buying the Moto 360 if It’s $250? 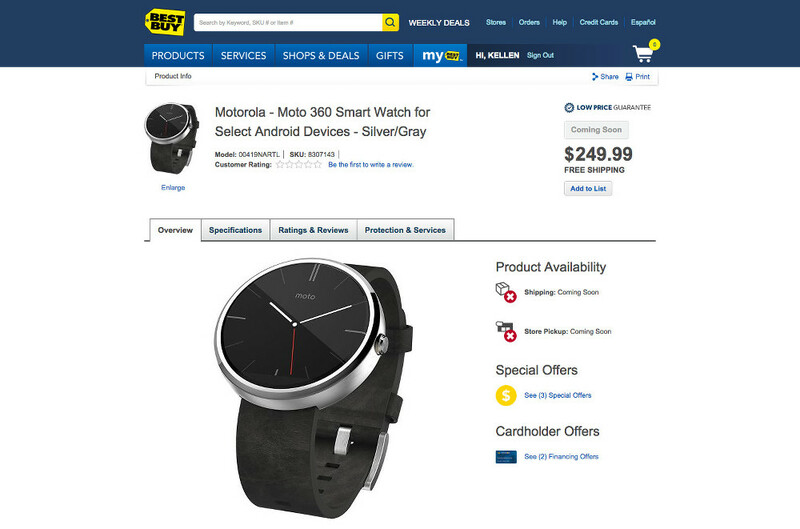 Thanks to Best Buy going live with a Moto 360 listing a couple of weeks early, we may already know the most important piece of info for Motorola’s smartwatch – the price. Listed at $249.99, I would venture to guess that most of you are ready to throw down cash immediately. Or are you? There was some worry that a $300+ price tag would accompany the watch, mostly due to the fact that it has been built with high-end materials, yet still packs in all sorts of features, like water resistance. If you compare the 360 to the Samsung Gear Live or LG G Watch, it certainly seems like Motorola could have charged a premium for it, especially with those currently available at $199 and $229, respectively. $250, though, how does that sound? Are you buying if the Moto 360 drops in at that price? Buying the Moto 360 if It's $250?